Lawyers acting for National Feedlot Corporation (NFCorp) chairman Datuk Seri Dr Mohamad Salleh Ismail today clarified that their client was only required to answer the two criminal breach of trust (CBT) charges when the prosecution had proven a prima facie case and ingredients of the charges. In a statement issued Saturday, lawyer Al Firdaus Shahrul Naing said this was not the case here as the prosecution had not concluded and proven a prima facie case and ingredients of the charges. The clarification followed an erroneous report that was widely carried by the media yesterday, he said. 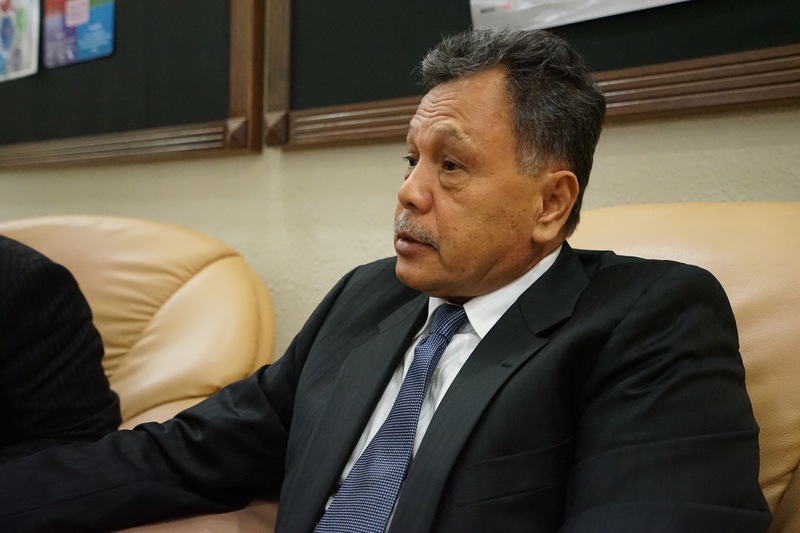 He said it was factually and legally incorrect to say the Court of Appeal had directed Mohamad Salleh to answer the CBT charges, and this was not what was said by the court. “In fact, in view of what was said by the Court of Appeal yesterday, in particular that our client has a good defence, it is therefore unlikely that the prosecution would be able to prove a prima facie case for our client to be called to answer the charges. “It is important to stress that at this particular stage, not even the Court of Appeal can make such a direction when the prosecution has not concluded its case,” he said. Al Firdaus said yesterday that Court of Appeal president Tan Sri Md Raus Sharif, who chaired the appeal with justices Datuk Abdul Aziz Abd Rahim and Datuk Lim Yee Lan, further opined that Mohamad Salleh should write to the Attorney General’s Chambers for the CBT charges against him to be withdrawn. He said that under the provisions of the Criminal Procedure Code, the court did not have the power to strike out the charges at this stage even if there was a good defence in view that the trial had started with the first witness been called. “Therefore, the Court of Appeal held that they had no other alternative but to direct the trial at the Sessions Court be resumed,” he said. The court made the ruling yesterday after dismissing Mohamad Salleh’s appeal to strike out the two CBT charges. Mohamad Salleh was appealing against the High Court dismissal of his appeal over the Sessions Court ruling which rejected his application to strike out the two charges. Mohamad Salleh, 66, who is also a director of NFCorp, was charged with misappropriating RM9,758,140 by way of four cheques from NFCorp funds to partly finance the purchase of two condominium units at the One Menerung complex in Kuala Lumpur between Dec 1 and 4, 2009, at the CIMB Islamic Bank Bhd in Jalan Burhanuddin Helmi, Taman Tun Dr Ismail. He was also charged with committing a similar offence by transferring RM40 million by way of a cheque, between May 6 and Nov 16, 2009, to the account of National Meat & Livestock Corporation Sdn Bhd which he and one of his children own. The two charges, under Section 409 of the Penal Code, provide for a maximum jail term of 20 years and whipping, as well as a fine, upon conviction.